Medical research can assist physicians, medical hospitals, and patients in improving health care outcomes. Below you will find recently released reports. 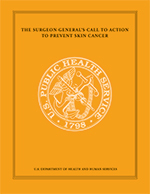 The Surgeon General’s Call to Action to Prevent Skin Cancer is important for all of us. It outlines action steps we can all take—as individuals, parents, educators, employers, policy makers, health care professionals, and communities—to reverse this alarming trend. 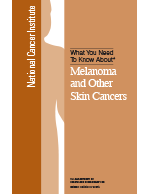 This National Cancer Institute (NCI) booklet is forpeople diagnosed with the most common types of skin cancer: Melanoma, Basal cell skin cancer, and Squamous cell skin cancer. Medical research involves uncertainties and may have risks. However, research is an important way to help us improve the care and treatment of children everywhere. As you will find out later, there are protections in place to make research studies as safe as possible.